The war has not ended. There are, as far as I know, no polls on the percentage of people in the United States who know that the war is still going on, but it seems to be pretty low. Polling Report lists no polls at all on Afghanistan in the past three years. For longer than most wars have lasted in total, this one has gone on with no public discussion of whether or not it should, just annual testimony before Congress that this next year is going to really be the charm. Things people don’t know are happening are not polled about, which contributes to nobody knowing they are happening. Possible reasons for such ignorance include: there have been too many wars spawned by this one to keep track of them all; President Obama claimed to have “ended” the war while explicitly and actually not ending it, and pointing this out could be impolite; a war embraced by multiple presidents and both big political parties is not a useful topic for partisan politics; very few of the people suffering and dying are from the United States; very similar stories bore journalists and editors after 17 years of regurgitating them; when the war on Iraq became too unpopular in the United States, the war on Afghanistan was fashioned into a “good war” so that people could oppose one war while making clear their support for war in general, and it would be inconvenient to raise too many questions about the good war; it’s hard to tell the story of permanent imperial occupation without it sounding a little bit like permanent imperial occupation; and the only other story that could be developed would be the ending of the war — which nobody in power is proposing and which could raise the embarrassing question of why it wasn’t done 5, 10, or 17 years ago. The war is not the longest U.S. war ever. Among those who know the war exists, a group I take to include disproportionately those involved in fighting it and those trying to end it, a popular claim is that it is the longest U.S. war ever. But the United States has not formally declared a war since 1941. 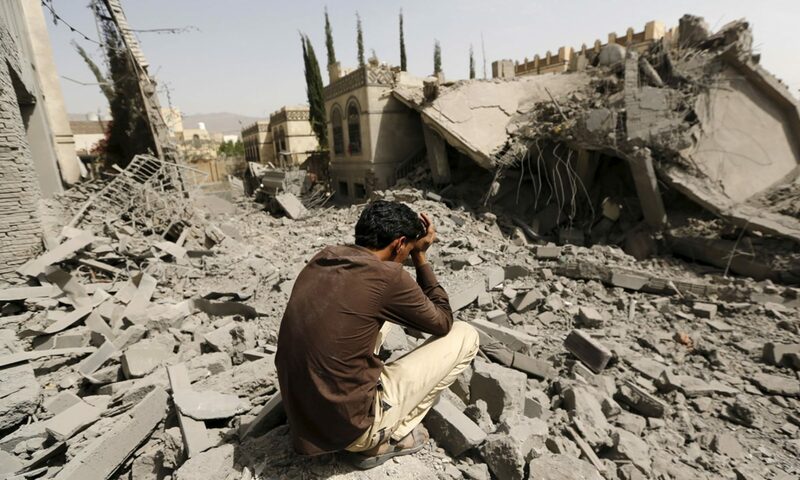 How one picks where a war starts and stops is controversial. There is certainly a strong case to be made that the never-ending war-sanctions/bombings-war assault on Iraq has been longer than the war on Afghanistan. There’s a stronger case that the U.S. war on Vietnam was also longer, depending on when you decide it began. The war on North (and South) Korea has yet to be ended, and ending it is the top demand of a united Korean people to their Western occupiers. The centuries-long war on the indigenous peoples of North America is generally ignored, I believe, principally because those people are not legally or politically thought of as actual real people but more as something resembling rodents. And yet it is important for us to recognize that none of the wars taught in U.S. school texts took even a tiny fraction of this length of time, and that even applying the same name (“war”) to (1) things that happened for limited and scheduled durations in empty fields between soldiers with primitive weapons *and* to (2) endless aerial and high-tech assaults on people’s towns and cities is questionable. Military glory is to glory as military justice and military music are to justice and music. For most of the duration of this war, participation in which is supposed to be called glorious, the top cause of death in the U.S. military has been suicide. What more powerful statement can someone make against glorifying what they have been engaged in than killing themselves? And sending more people off to kill and die in order not to disrespect the people who have already killed themselves, so that they not have killed themselves “in vain,” is the definition of insanity squared — it’s insanity gone insane. That it may be common sense doesn’t change that; it just gives us the task of causing our society to go sane. Benjamin Franklin is still right: There has never been a good war. When it became convenient for politicians and others to present Afghanistan as “the good war,” many began to imagine that whatever had been done wrong in Iraq had been done right in Afghanistan: the war had been U.N. authorized, civilians had not been targeted, nobody had been tortured, the occupation had been wisely planned; the war had been and was just and necessary and unavoidable and humanitarian; in fact all the good war needed was more of what it was, while the bad war in Iraq needed less. None of these fantasies was true. Each was and is blatantly false. “They started it” is always a lie, because it’s always used to start something. Most everyone supposes that the United States invaded Afghanistan in 2001 and has stayed there ever since as a series of “last resorts,” even though the Taliban repeatedly offered to turn bin Laden over to a third country to stand trial, al Qaeda has had no significant presence in Afghanistan for most of the duration of the war, and withdrawal has been an option at any time. The United States, for three years prior to September 11, 2001, had been asking the Taliban to turn over Osama bin Laden. The Taliban had asked for evidence of his guilt of any crimes and a commitment to try him in a neutral third country without the death penalty. Those don’t seem like unreasonable demands. At the very least they don’t seem irrational or crazy. They seem like the demands of someone with whom negotiations might be continued. The Taliban also warned the United States that bin Laden was planning an attack on U.S. soil (this according to the BBC). Former Pakistani Foreign Secretary Niaz Naik told the BBC that senior U.S. officials told him at a U.N.-sponsored summit in Berlin in July 2001 that the United States would take action against the Taliban in mid-October. He said it was doubtful that surrendering bin Laden would change those plans. When the United States attacked Afghanistan on October 7, 2001, the Taliban asked to negotiate handing over bin Laden to a third country to be tried, dropping the demand to see any evidence of guilt. The United States rejected the offer and continued a war in Afghanistan for many years, not halting it when bin Laden was believed to have left that country, and not even halting it after announcing bin Laden’s death. Perhaps there were other reasons to keep the war going for a dozen years, but clearly the reason to begin it was not that no other means of resolving the dispute were available. Punishing a government that was willing to turn over an accused criminal, by spending 17 years bombing and killing that nation’s people (most of whom had never heard of the attacks of September 11, 2001, much less supported them, and most of whom hated the Taliban) doesn’t appear to be a significantly more civilized action than shooting a neighbor because his great-uncle stole your grandfather’s pig. Tony Blair has a lot to answer for. Blame is, contrary to popular opinion, not a finite quantity. I don’t deny an ounce of it to Bush or Cheney or every single member of the U.S. Congress except Barbara Lee, or just about every employee and owner of U.S. corporate media, or numerous profiteers and weapons dealers and death marketers of all variety. I blame history teachers, military recruiters, NATO, every member of NATO, the UN Security Council, the people who designed the UN Security Council, priests and preachers, Harry Truman, Winston Churchill, Zbigniew Brzezinski, Hillary Clinton, Steven Spielberg, Thomas Jefferson, Wolf Blitzer, flag manufacturers, any neighbor of Paul Wolfowitz who didn’t give him a talking to, and — I’m confident in saying — a lot more people than you blame. I don’t exclude them and I am not right now ranking them. But I would like permission to point out that Tony Blair belongs in this list and not on some panel discussing the principles of liberal humanitarian slaughter. Blair was willing to go along with Bush’s attack on Iraq if Bush attacked Afghanistan first. Attacking a country because it would make marketing an attack on another country easier is a particularly slimy thing to do. 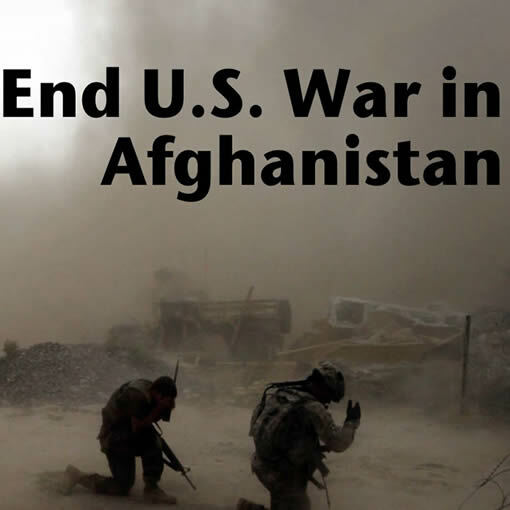 Barack Obama campaigned on escalating the war on Afghanistan. His supporters either agreed with that, avoided knowing it, or told themselves that in their hero’s heart of hearts he secretly opposed it — which was apparently sufficient compensation for many when he went ahead and did it. He tripled the U.S. forces and escalated the bombings and creating a campaign of drone murder. By every measure — death, destruction, financial expense, troop deployment — the war on Afghanistan is more Obama’s war than anyone else’s. President Trump escalated and continued the war, albeit at a much smaller scale than Obama had. And he had lied about the amount of money being spent. The notion that it could all be spent on useful things in the United States either underestimates the amount of money or overestimates U.S. greed and powers of imagination. This amount of money is so vast that one would almost certainly have to spend it on more than one country if spending it on useful human and environmental needs. The people in charge of the war don’t believe in it any more than the troops they order around. —Former CIA Bin Laden Unit Chief Michael Scheuer, who says the more the United States fights terrorism the more it creates terrorism. — Lt. Col. John W. Nicholson Jr.: This commander of the war who left that position last month, like most of the people above, pulled “an Eisenhower” and blurted out his opposition to what he’d been doing on his last day of doing it. The war should be ended, he said. It’s much desired in the United States to imagine that wars benefit the people bombed, and then to lament and point to their ignorant inability to feel grateful as a sign that they are in need of more bombing. In reality, this war has taken a deeply troubled and impoverished country and made it 100 times worse, killing hundreds of thousands of people in the process, creating a refugee crisis being addressed courageously by Pakistan, and helping to destabilize half the globe. The purposes have not been admirable. Invading Afghanistan had little or nothing to do with bin Laden or 9-11. The motivations in 2001 were in fact related to fossil fuel pipelines, the positioning of weaponry, political posturing, geo-political posturing, maneuvering toward an invasion of Iraq, patriotic cover for power grabs and unpopular policies at home, and profiteering from war and its expected spoils. These are all either indefensible arguments or points that might have been negotiated or accomplished without bombs. During the course of the war its proponents have often been quite open about its actual purpose. Permanent bases make war permanent and do not bring peace. They just cut the ribbon for new construction at Camp Resolute Support. Can a ground breaking at Fort Over My Dead Body be far behind. It’s important that we understand that permanent peace-bringing bases are neither. The U.S. has no responsibility to do something before it gets the hell out. After the United States gets out, Afghanistan will continue to be one of the worst places on earth. It will be even worse, the longer the departure is delayed. Getting out is the principle responsibility. The United States has no responsibility to do anything else first, such as negotiating the future of the Afghan people with some of their war lords. If I break into your house and kill your family and smash your furniture, I don’t have a moral duty to spend the night and meet with a local gang to decide your fate. I have a moral and legal responsibility to get out of your house and turn myself in at the nearest police station. The ICC is teasing, but what if it starts to enjoy the teasing? The international criminal court has never prosecuted a non-African, but has claimed for years to be investigating U.S. crimes in Afghanistan. What if people began encouraging it to do its job. Not that I would suggest such a thing. Too many wars is a reason to end them. That there are too many wars to keep track of them all is a reason to end each one and to end the entire institution of war before it ends us, as it has spiraled far out of control. The damage to Afghanistan is immeasurable. The natural environment has suffered severely. Cultures have been damaged. Children have been traumatized. U.S. culture has been poisoned and militarized and made more bigoted and paranoid. We’ve lost freedoms in the name of freedom. The financial tradeoff has been unfathomable. The complete case is overwhelming. A letter you can sign.